You need to chill! Help yourself, your bartenders, and your party goers beat the heat by selling drink tickets. 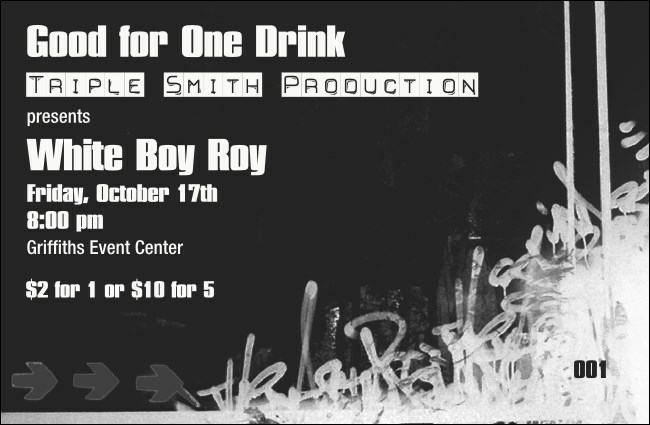 The Hip Hop BW Drink Ticket, in black and white with a graffiti design, lets you sell drinks in advance, keep bar tabs orderly, and reward your very important patrons with the tasty beverage of their choice. Keep your cool when you order Event Kits from TicketPrinting.com.